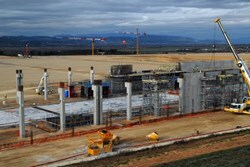 The work on the ITER platform is progressing rapidly. The future Headquarters building is coming out of the ground, the basement is half there and its ceiling is taking shape too. The works are thus well on schedule and should be terminated in the summer of 2012. As for Tokamak Complex excavation, the first phase of works is finished and soon the trim blasting to complete the excavation will commence. 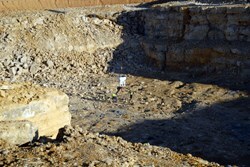 These works will run into early 2011 and will be followed with the pouring of the first concrete in springtime. The Tokamak Pit is almost finished; soon the trim blasting to complete the excavation will commence. The construction of the Poloidal Field Coils Winding Facility is also making impressive progress. Most of the floor slab is completed and the concrete columns are up. The crane runway beams are also well underway. The next step now is the mounting of the steel superstructure which will finish the main structural aspects of the building. Here, too, we are on schedule for completion of the final building at the end of 2011. 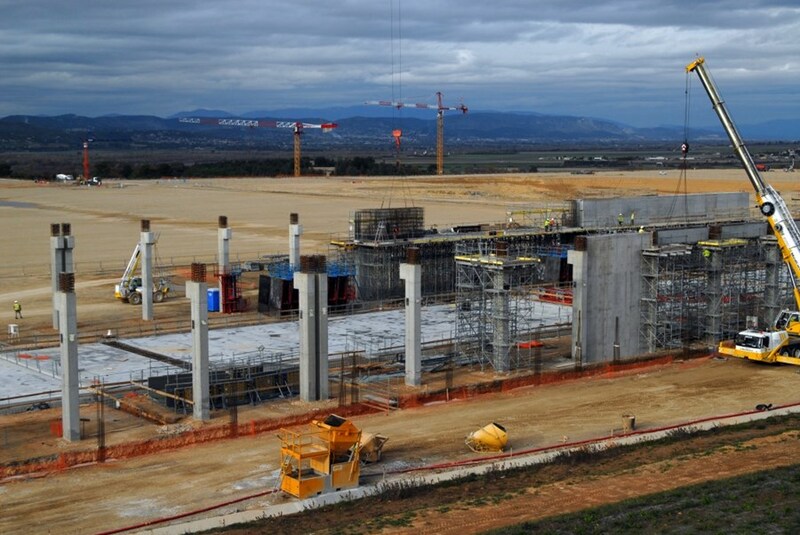 Early next year, Fusion for Energy, the ITER's European entity, will start with the preparatory works for contractor area II below the Visitors Centre and some parts of the deeper buried networks. Special thanks to Timothy Watson, Head of the Directorate for the Buildings & Site Infrastructure, for his contribution.